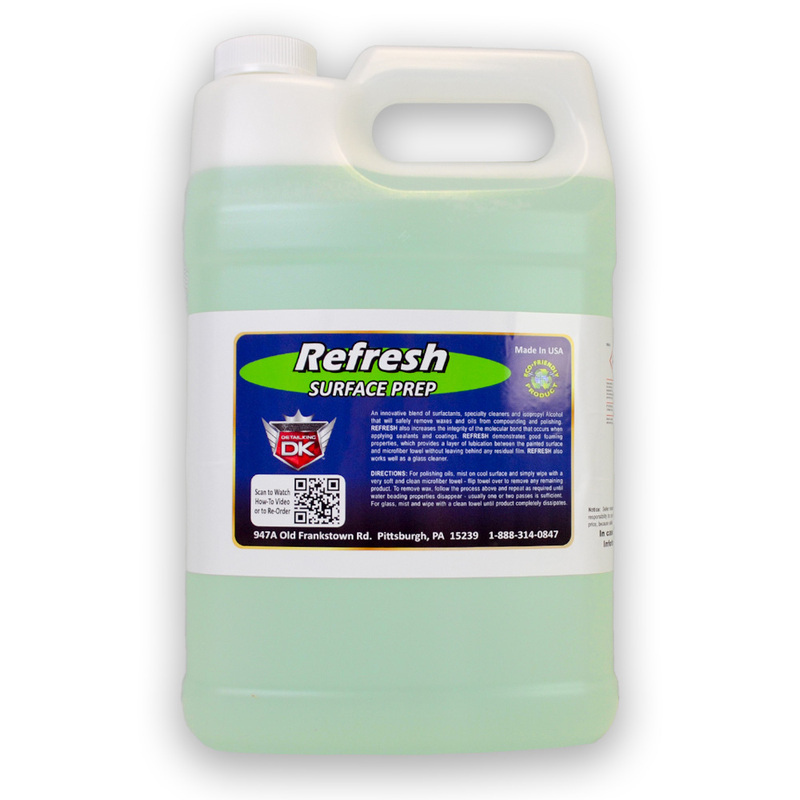 This product is a perfect prep prior to applying Jade Ceramic Coatings! 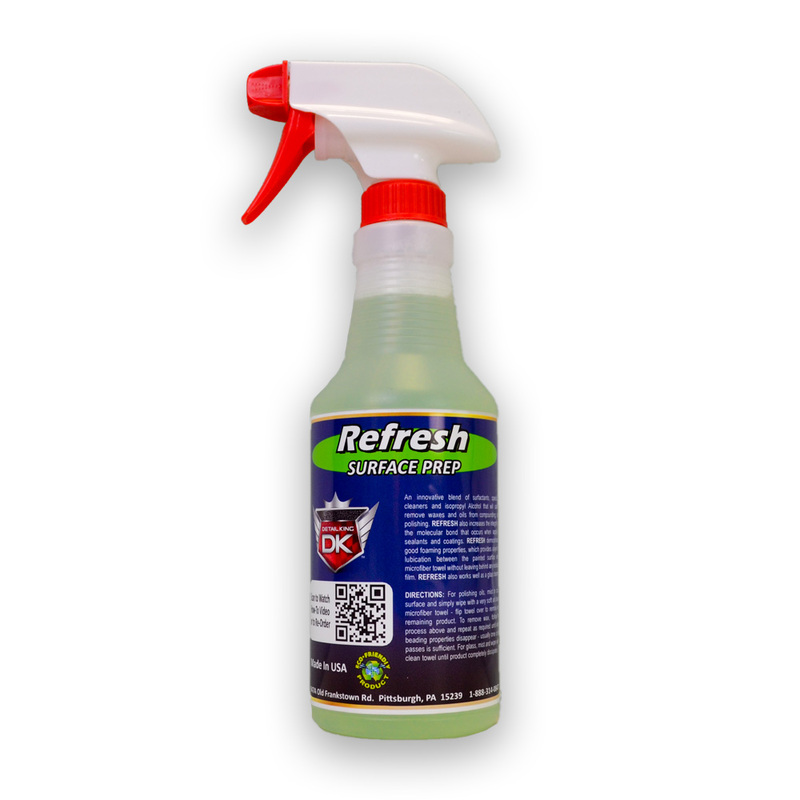 Refresh Surface Prep uses a various mild solvents to dissolve old compounds, polish, wax and leaves behind a residue-free, very clean surface. 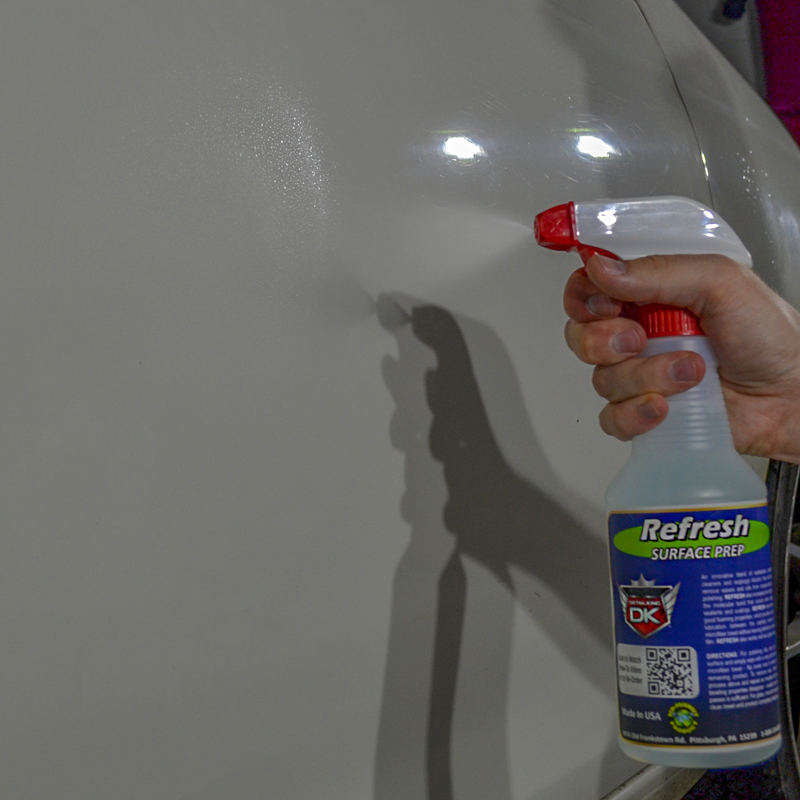 Refresh Surface Prep should be used before applying Jade Ice, Jade Quartz, or any other paint sealant or coating, to promote the best bonding and protection. A good cleaning for paint protection is critical. Polishes and compounds can leave behind oils that can alter your chosen last step protection product from adhering totally to the paint. So to be sure you get the very best protection available, you should be sure your paint is fully prepped correctly. This is where Refresh Surface Prep really comes in handy. 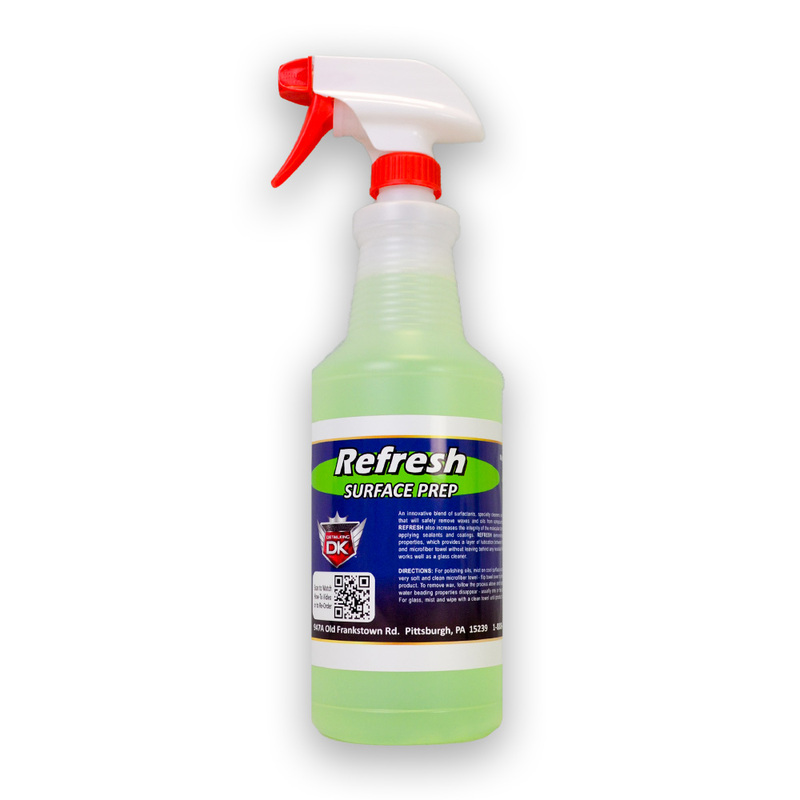 DIRECTIONS: For polishing oils, mist on cool surface and simply wipe with a very soft and clean microfiber towel. - Flip towel over to remove any remaining product. To remove was, follow the process above and repeat as required until water beading properties disappear – usually one or two passes is sufficient. For glass, mist and wipe with a clean towel until product completely dissipates.